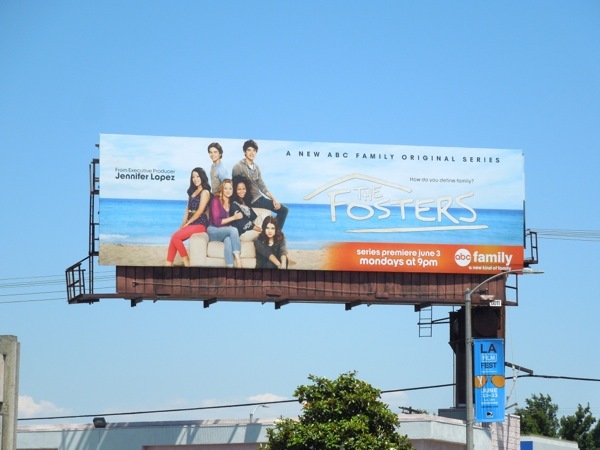 ABC Family welcomes a new multi-ethnic progressive family into the mix this season with The Fosters. A lesbian couple raise their brood of biological, adopted and foster kids, even taking in trouble cases to help give them a loving start in life. 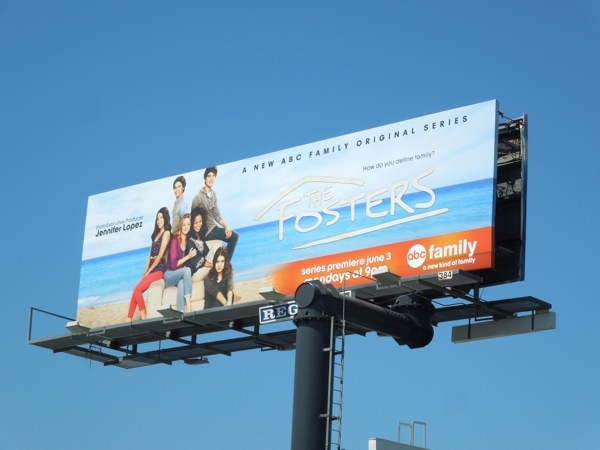 Sounds like they have their hands full (but it's all a little easier when you live near a beach). 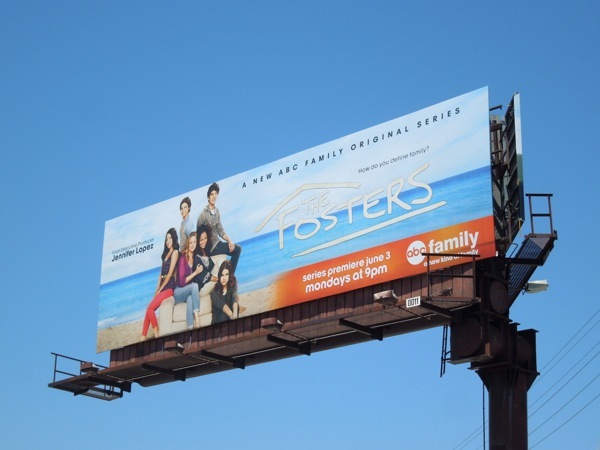 These billboards for the new ABC Family drama were snapped in two different locations along Beverly Boulevard on May 13, 2013. 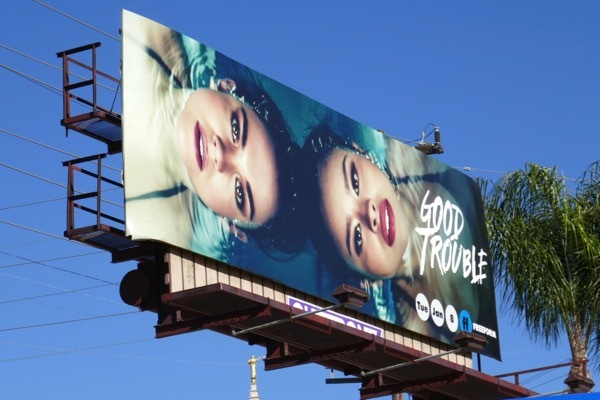 UPDATED: The Fosters may have ended after five seasons, but you can still follow the adventures of 'Callie' and 'Mariana Adams Foster' (played by Maia Mitchell and Cierra Ramirez) as they move to L.A. to start their adult lives in Freeform's Good Trouble. 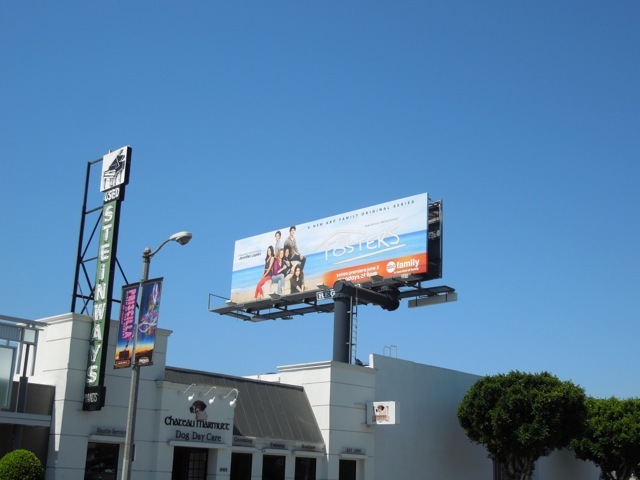 This series launch billboard was snapped above Westwood Boulevard on January 19, 2019.